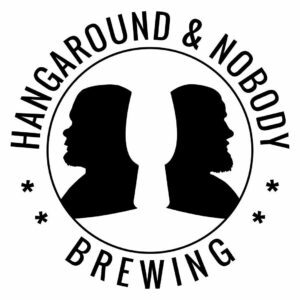 Hangaround & Nobody Brewing (est. 2016) is a gypsy brewery from Jyväskylä, Finland. The brewery first started in 2016 as a homebrewery and in 2018 the first commercial beer hit the stores and bars. HNB beers are brewed @ UG Brewery which is located in Lohja, Finland. We are currently celebrating our first birthday as a gypsy brewery!!! 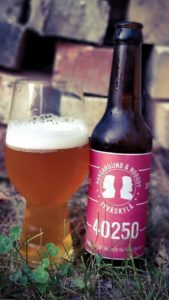 “40250, ABV 5,5 %” A fresh and citrusy APA with some of the more experimental hops used. 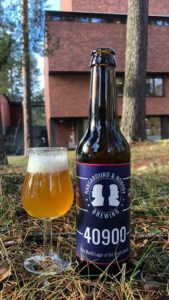 The name of the beer is after the postal code of our home brewery which is located in Lohikoski, Jyväskylä. Currently out of production. New batch coming during spring 2019! “40900, ABV 5,4 %” only hops from New Zealand are used in this aroma- and dry-hopped lager. The name of the beer is after the postal code of Nobody’s childhood home of Säynätsalo. 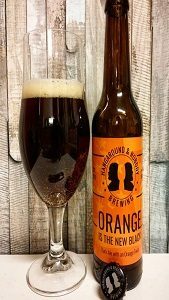 “Orange Is The New Black, ABV 5,5 %” a dark ale with an orange twist. This is the newest of our beers. 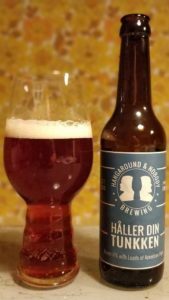 “Håller Din Tunkken, ABV 5,3 %” our first commercial beer. A bitter and bit sweet brown IPA with loads of American hops. New batch out NOW! Follow us on Facebook and Instagram to get the latest updates. We also got super nice HNB T-shirts and canvas bags available to buy! T-shirts available for 10 € only for limited time! New batch coming during spring 2019! Interested in brewing a collaboration beer or a beer for your company? Want to have our beer in your pub/store? Something else? Don't hesitate to contact us!! !